The Loom Bound collection is a versatile and playful system using only simple, essential materials to create endless modular and mobile set–up possibilities for contemporary interiors. The design can be used to divide spaces, improve acoustics, create storage or add intimacy whilst adding tactility, colour and softness to any interior with this design. A fully assembled Loom Bound object can be reconfigured and reconstructed at any given time. The system revolves around the use of fabric as a constructive material. The fabric holds the oak wood components together and functions as the hinge between them. 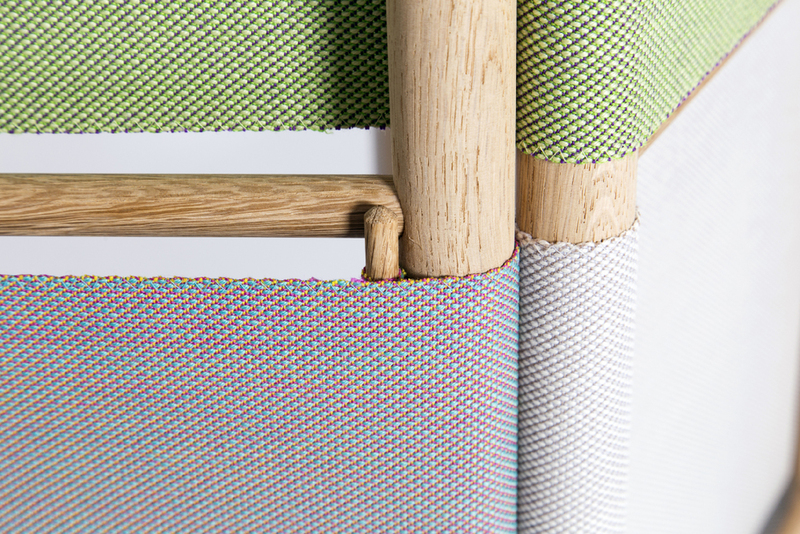 In partnership with Kvadrat Steelcut Trio fabric wis used for its strength, interesting weave patterns and use of colour. 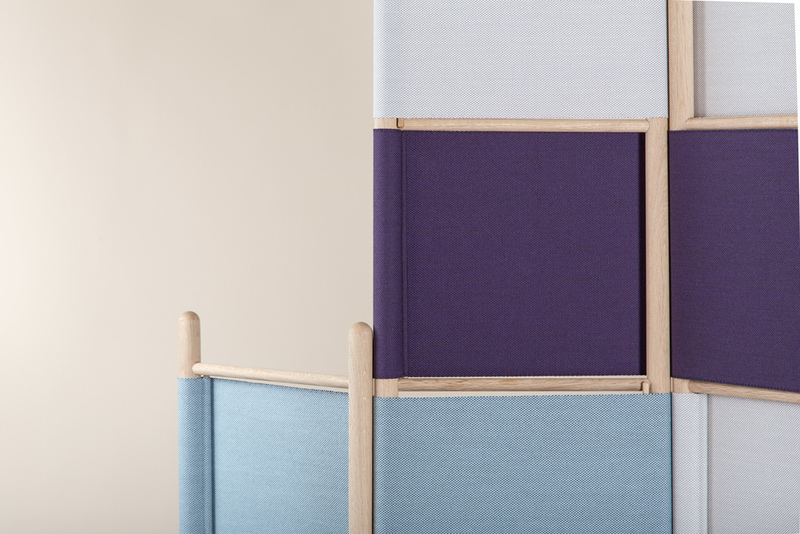 Loom Bound adds tactility, colour and softness to an interior. It can be used to divide spaces, improve acoustics, create storage or add intimacy.